Well we could get out, but it has been snowing since yesterday at 9am and is just starting to taper off now. Even Scott’s work was canceled yesterday. We’ve been taking our snow day to relax and catch up on some work around the house. 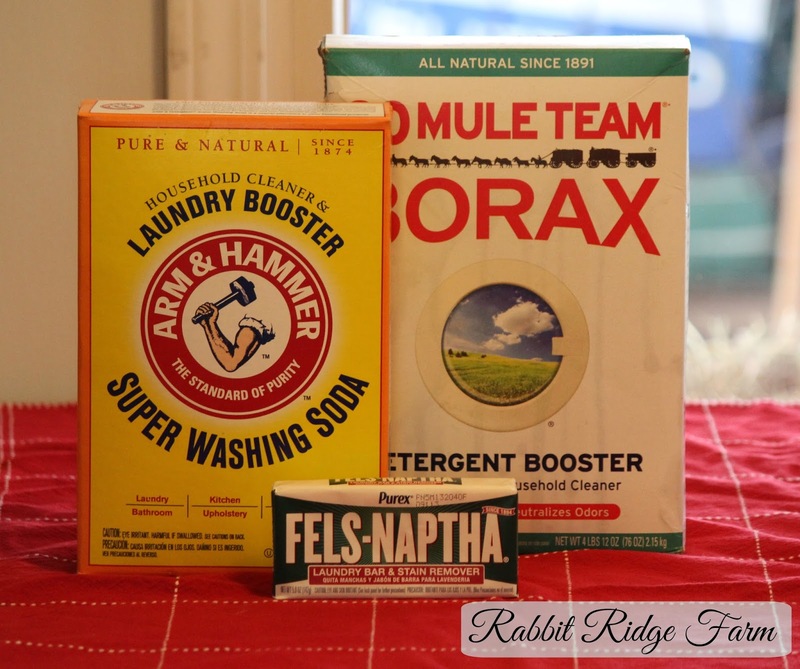 I darned an old sweater, the bread is rising next to the stove, and I made a batch of our easy, DIY laundry detergent because snow day or no there’s is always laundry to be done. 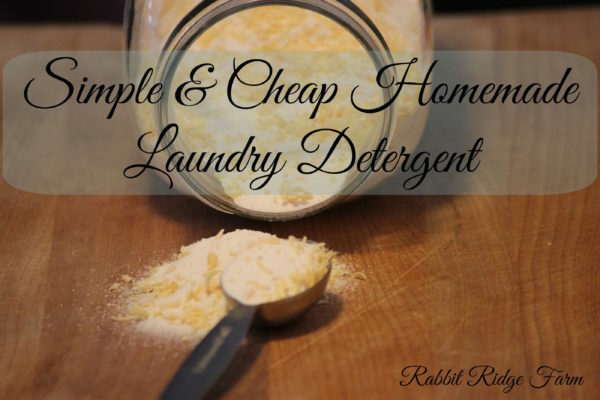 We make our own laundry detergent because its cheaper and I have sensitive skin. Every time I wash our clothes with “good” name brand detergent I get little itchy red bumps all over. Plus most detergents today have some pretty scary ingredients and little regulation. When I first decided to make my own detergent I was intimidated that there were going to be a lot of complicated and scary ingredients. I was wrong. It’s so easy. See just three ingredients. Simple right? All you have to do is grate up the bar of Fels Naptha and combine it with the borax and washing soda. I like to use the fine side of my grater but I think it would work either way. I tried several different graters and the one that seemed to work best had small smooth holes. Others that had ruff holes grated it finely but got clogged up easily. 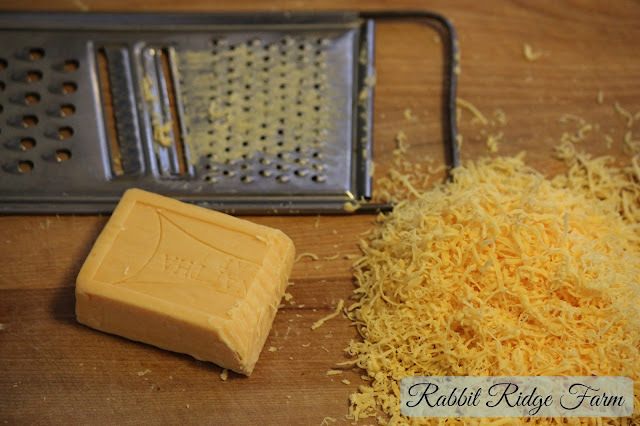 The grater I use is in the photo below. While this detergent is safer than others you should try not to breath it in while combining the ingredients. You use the detergent just as you would any other dry laundry detergent. I’ve used it in both top and front loaders with great success. I’ve also heard that using this detergent can help with that mildew smell front loaders can get. For each load I use about 4 Tbs but you may need more or less depending on your water and how dirty your clothes are. I’ve heard of people using just 1 Tbs but we have hard water and exceptionally dirty farm clothing. My next step is to making Fel Naptha type bars completely from scratch.